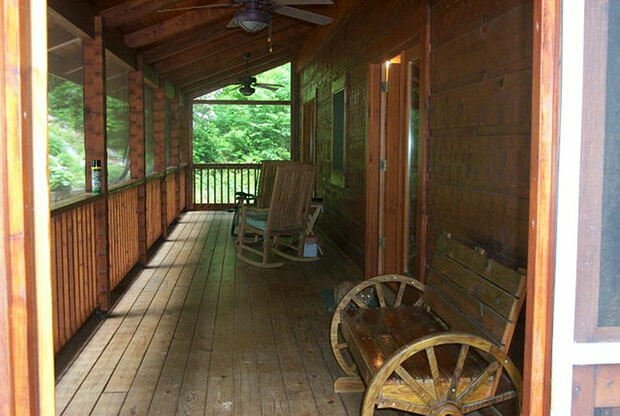 Very unique features, a landscaped garden, and beautiful materials throughout are just some of the things this cabin has to offer. 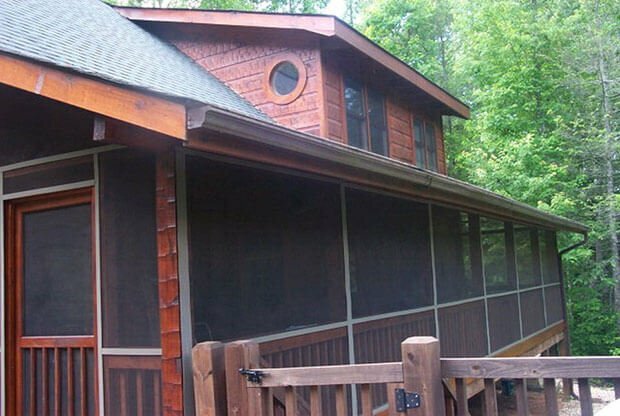 It comes with two bedrooms and two bathrooms in a well maintained setting. 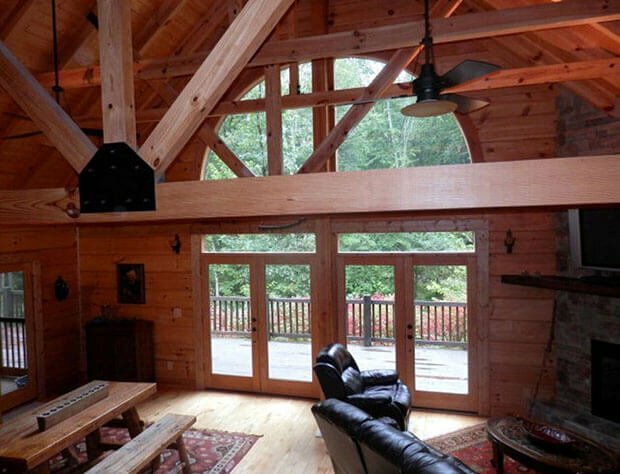 There’s hardwood flooring and lots of wood, including the natural surroundings. 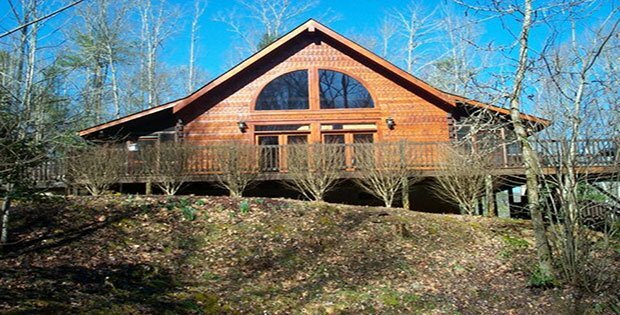 This home is located in Robbinsville, NC, and selling for $319,000. 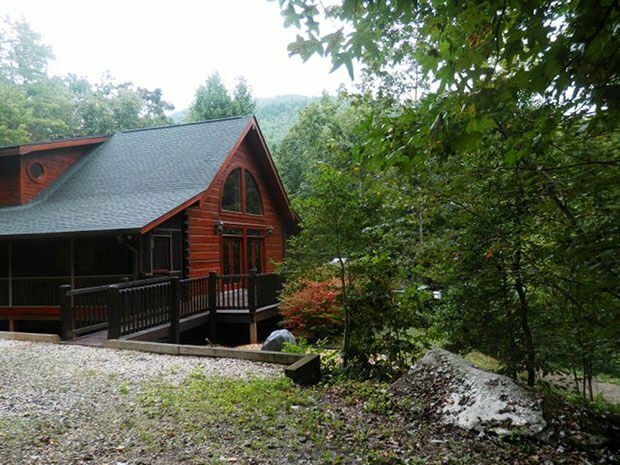 This furnished, well maintained, custom designed, custom built log home is a beauty that offers 6.02 ac. 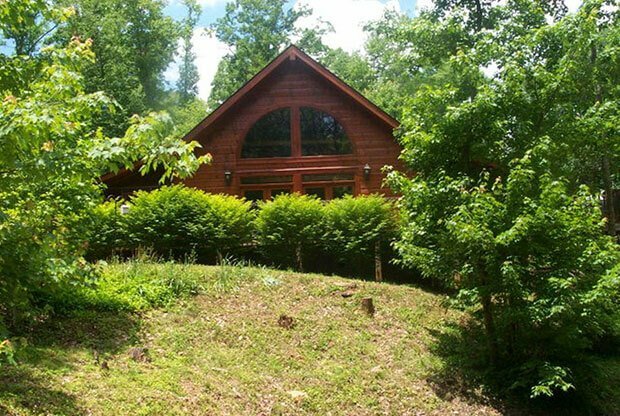 of privacy, creek frontage, small branch, screen porches, detached, drive through garage, landscaped rock garden with wildflowers & perennials, back-up generator powered by propane gas, beautiful stone fireplace with gas logs, central heat/air system, heated tile floor in main bath, log designed pool table. [FOR SALE] FULLY FURNISHED AND READY TO BE BOUGHT!